It was yet another great day at the office for Lewis Hamilton at the Marina Bay circuit. The Briton started the race from a surprise pole position and took the victory with a comfortable margin, extending his championship lead over Sebastian Vettel to 40 points. With that victory for Hamilton, Vettel has a daunting task ahead of him in order to clinch his fifth drivers' championship, and the German has decided to go very aggressive for the 2018 Russian Grand Prix. Pirelli made the soft, ultrasoft and the hypersoft compounds available for Sochi and Ferrari's Vettel chose to go into the weekend with nine sets of hypersofts, two sets more than his Mercedes counterparts - Lewis Hamilton and Valtteri Bottas. Furthermore, the German will go in with only one set of yellow softs and purple ultrasofts. His teammate, on the other hand, isn't as aggressive and out of the thirteen sets available, he chose eight sets of hypersofts, two sets of softs and three sets of ultrasofts. Both the Red Bull drivers are on the same strategy of Sebastian Vettel and will enter the Russian Grand Prix with nine sets of the softest compound available for the weekend, while the junior team Toro Rosso's duo chose eight sets of hypersoft compound tyres. Interestingly, both the Renault drivers were on the most aggressive strategy, choosing ten sets of hypersofts. Sainz will go in with one set of soft compound tyres while Nico Hulkenberg will enter the weekend with one set of people ultrasofts. The outgoing Fernando Alonso had a decent Singapore Grand Prix and would be hoping to continue his momentum at the Russian Grand Prix. The Spaniard chose eights sets of hypersofts and three sets of softs to tackle the low-wear Sochi circuit. 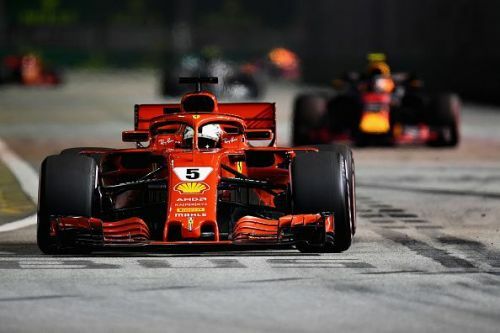 This is the first time one will see the hypersofts in action at the Sochi circuit, and the teams that are on an aggressive strategy need to understand the tyre compound pretty quick to turn the tide in their favour. And, failing to come to terms with the tyres during free practice sessions might lead to a disastrous weekend for the team.